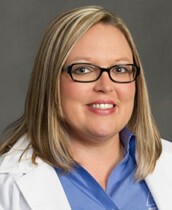 Tracy is a family nurse practitioner with State of Franklin Healthcare’s Population Health Department. Tracy joined the team in August of 2016. She received Bachelor of Science in Nursing from King College before obtaining her Master of Science in Nursing at East Tennessee State University. Tracy enjoys time with her children, boating, hiking, camping, and any other outdoor activities.